Tequila reposado, its golden crystalline look talks about the time and care they take, from the “jima” to distillation into the largest wine cellar in the world, the one on Casa Centinela. If the barrels could talk, they would tell us the charm they carry inside their oak walls and the secret that leads them to stand for two years the amber colored tequila, Tequila Centinela Añejo. The name is Centinela 3 years. The oldest reposado of all, and the one with the higher premium character. It's a tequila for the great and the agave distillate lovers, for lovers of an extra old one. The stories are enriched through the years and transcend with the events that change the course of humanity. 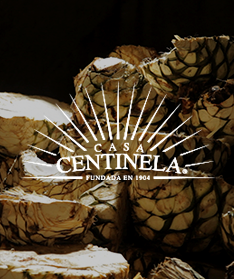 Centinela's story dates back to 1890 when it began to distill tequila in the region of Los Altos, Jalisco. 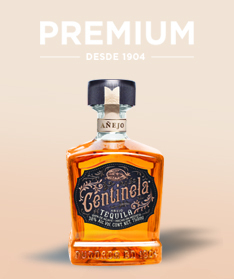 The first tequila factory with this distillate was born in 1904, Tequila Centinela, from this year, the Great Centinela Family proudly conserves the same processes from long ago. Each part of the process that leads to good tequila is taken care of from each member that’s involved in developing the final product. 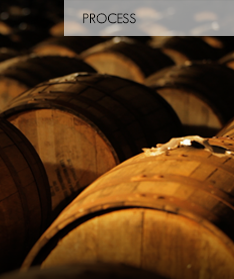 It is the tequila house with the world's largest wine cellar, home to 56 000 barrels of American white oak. In Casa Centinela remains the spirit that for years, Don Pepe, the founder of this great family, introduced to the entire team that is part of this tequila tradition. Because a family is built on solid foundations, this is how the Great Centinela Family stands.